2015 Mustang Bucket List Touring The US This Fall! 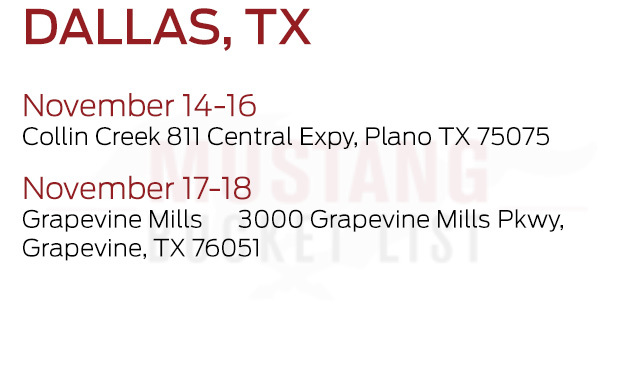 You are here: Home / Life Around DFW / 2015 Mustang Bucket List Touring The US This Fall! I have ALWAYS loved a Mustang! Cherry Apple Red with the top down, please – that’s what I always wanted! 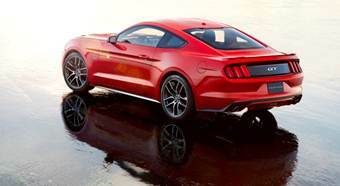 If you are a Ford Mustang lover – here’s your chance to drive the all new 2015 Mustang! Ford Motor Company has announced the Mustang Bucket List program! It’s an interactive test drive tour featuring the all-new 2015 Mustang! Designed to inspire consumers to take a look at their bucket list and begin checking it off – starting with driving the 2015 Mustang! Test drive participants can test drive the all-new 2015 Mustang, take a ride on a GT Hot Lap, enjoy giveaways from relationships with OPI, Inc., enter to win the $10,000 Bucket List Sweepstakes and more! Dallas/Fort Worth – Did you know that Texas is the world’s top-selling Mustang market? Come see what it’s all about. You’ll be able to drive the Mustang yourself! The Mustang Bucket List tour invites customers to test drive the all-new 2015 Mustang, take a GT hot lap (where applicable), enjoy giveaways and enter to win the $10,000 Bucket List Sweepstakes! * Additional information about the Ford vehicles can be found at http://www.ford.com/new-cars/. Ford Motor Company, a global automotive industry leader based in Dearborn, Mich., manufactures or distributes automobiles across six continents. With about 177,000 employees and 65 plants worldwide, the company’s automotive brands include Ford and Lincoln. The company provides financial services through Ford Motor Credit Company. For more information regarding Ford and its products worldwide, please visithttp://corporate.ford.com.